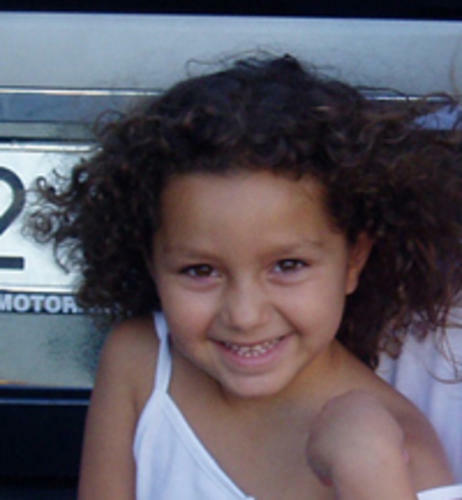 MARI LUZ CORTES : LIST OF MCCANN VICTIMS: #McCann Victim : Dr.Gonçalo Amaral Who Has Received Death Threats. 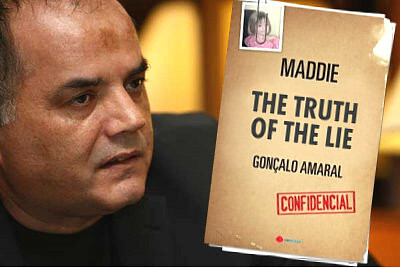 #McCann Victim : Dr.Gonçalo Amaral Who Has Received Death Threats. Gonçalo Amaral recusou-se ontem a fornecer a sua actual morada à juíza do Tribunal de Faro, alegando ter “recebido ameaças de morte”. O ex-inspector da PJ foi ouvido no julgamento de Aragão Correia e António Dores, acusados de difamação. Gonçalo Amaral yesterday refused to provide his current address to the Judge of the Court of Faro, claiming to have "received death threats." Former PJ inspector was heard at the trial of Aragao Correa and Antonio Dores, accused of defamation. And if I may draw your attention to a very serious comment left on the MMF by a blogger. It's not Internet nutters that Dr Amaral should be worrying about. Internet nutters are people who hide behind a pseudonym and hurl abuse at those who dare to express a different opinion. Such nutters are basically cowards - if they could kill by right-clicking the mouse, no doubt they would, but to actually come out into the real world and physically kill someone - IMO highly unlikely. What is more likely is that there is an organization behind most of the Internet nutters in the pro parents camp. IMO the purpose of such an organization is what is commonly referred to as reputation management. There are grounds to assume that the majority of the nutters in the pro parents camp probably work for one or more reputation management organizations. This also explains the many "Road to Damascus" moments of erstwhile prominent antis. Such persons, or perhaps they aren't real persons at all but personas, were initially planted in the (for want of a better word) anti camp. Their purpose was to foment critical discussion and record important information in order to identify trends, so that strategies could be developed by reputation management to combat them. IMO the 3As could have been established under the auspices of such a reputation management organization in order to concentrate the anti activity in one place - anti activity which was difficult to control on the Mirror website and being on the website of a national daily newspaper, too accessible to too many people. Thus getting the Mirror site closed down and concentrating activities in one place, made it easy to monitor what was going on and keep it under control. 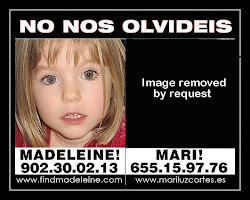 Over the past 5 years it has become clear that there is far more going on behind the scenes than would conceivably be the case if the disappearance of Madeleine McCann were 'simply' a matter of the disappearance of a small child, whether she was abducted or accidentally died or whatever. In the past I have always tended to discount any kind of cover up or powerful conspiracy, but my own "Road to Damascus" moment came when I experienced the prominent member of Scotland Yard heading the so-called review, sitting on a sofa in a TV studio regurgitating the same old same old that we have been hearing and reading for the past 5 years inspired by - reputation management. But it's not the reputation management people that Dr. Amaral should fear either; imo it's whoever is employing their services. The longer this goes on and the closer he gets to revealing the truth, the greater the danger he faces. To date they have tried everything to silence him and if one looks at the lengths to which they have already gone to discredit him and break his resolve, it is clear that he is up against some extremely powerful forces indeed. Only a fool would discount the possibility that eliminating Dr Amaral is the final option if all else fails, especially as all else is starting to look close to failing.